Perfect for taking quick notes and sketches. Sheet Size: 3" x 5". 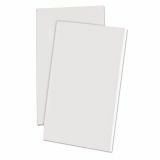 Ampad Scratch Pad Notebook, Unruled, 3 x 5, White, 100 Sheets, 12/Pack - Ampad Scratch Pads are ideal for home or office use; jotting down grocery lists, to-do lists, brainstorming or just doodling. 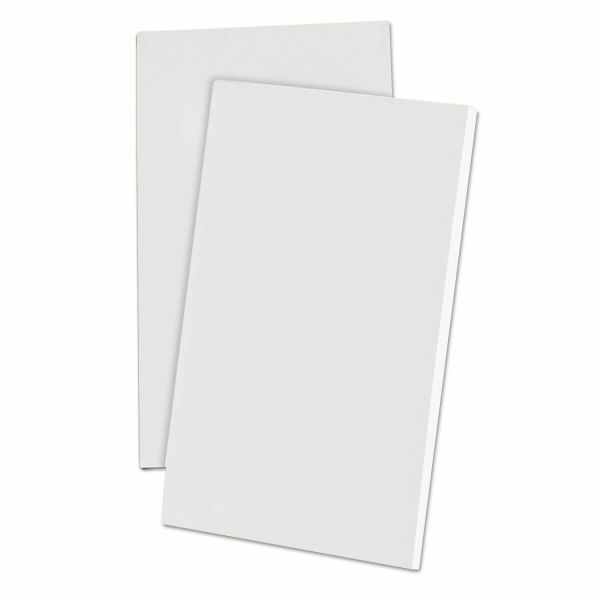 Glue-top scratch pad features unruled, 15 lb. white paper, secured at the top with latex gum adhesive. The backing is made of rigid, 28 point chipboard backing for writing support. Number of Sheets per Pad: 100. Green : Meets or Exceeds EPA CPG guidelines for recommended recycled and post-consumer fiber content.